Full time RVers and VanDwellers are as diverse as any individuals you’d find in a traditional community. 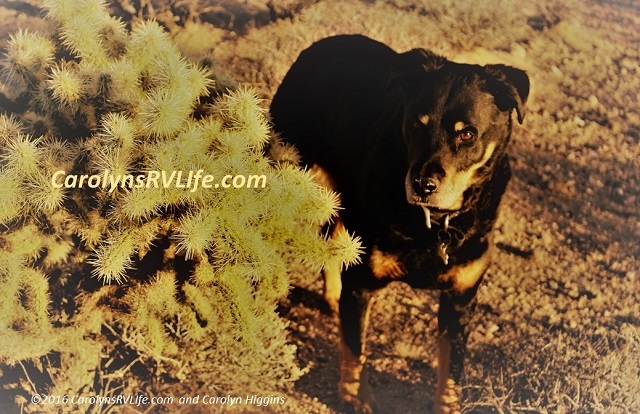 Some love to live in RV parks or explore National Parks. Some prefer to stealth camp in urban areas. And others, like me, are boondockers who crave the peace and solitude that only the most remote National Forest and Bureau of Land Management (BLM) lands can give us. Some of us are retired, some, digital nomads. Some have families. Some have none. We come from all walks of life, socioeconomic statuses, races, religions and genders, but we all have one thing in common: the need for freedom and adventure. You love road trips. If you’ve taken at least few road trips (or have always dreamed of it) and the thought of hopping in the car, hitting the open road and seeing where it takes you gets your adrenaline pumping and your daydreams buzzing, then full time RVing or Vandwelling could be the life for you! You fantasize about being free. My whole life, I just wanted to be free (watch the YouTube Video here for my story). I didn’t know what that meant really, or even what it looked like. I just knew that my life, chasing the American Dream, working for a few weeks of ‘freedom” each year, with a promise of emancipation when I retired, didn’t feel much like freedom. Does that sound familiar? Do you robotically go to work every day, pay your bills, run your errands, go to your parties and submit to a life you thought you were supposed to want, all the while dreaming of something else? If so, you’re one of us! You crave adventure! Life feels monotonous. Blasé. You love to explore, see new things, go to new places and experience different cultures/communities. And your life feels more and more like a jail; keeping you from living the life you crave. Your life feels phony. For many of us, we had a nagging feeling most of our adult lives that something wasn’t quite right. We did everything we were told: got the degree, the career, the house, the spouse and the children. And when that didn’t fulfill us, we bought the timeshare, the boat and /or the RV. Day after day we’d stare at our freedom parked in the backyard, with longing, as it sat, lonely and unused 49 weeks a year. Deep inside, we felt like our whole life was a sham And then we’d feel guilty or ‘weird’ for craving freedom and independence. If this resonates, you’re one of us! You realize you have too much stuff. One day you wake up, look around your house or apartment and realize it’s full of stuff you rarely use and don’t need. You realize you’re paying rent or mortgage to house your possessions and if it weren’t for all that stuff you could be lighter and more free to travel, explore and live! You decide to be more minimalist. Once you realize you have a bunch of junk you don’t need, you decide to stop buying. For me, two years before I made the leap to full-time RV Living, I made a conscious decision to stop buying anything I didn’t need; no new lamps, vases or pictures. No new shoes, dresses jewelry, or handbags. I decided I had enough stuff and it was time to simplify my life. That was the beginning of a mind-shift toward tiny living. You cruise Craigslist for RVs or Vans. Yeah. You’re ready… If you’re daydreaming at work and the next thing you know you’re browsing craigslist ‘just to get an idea’ of cost. You’re practically there! 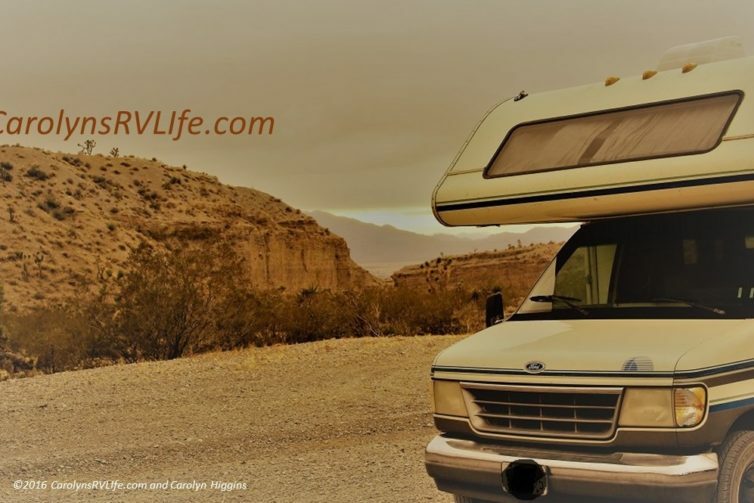 You spend your free time watching YouTube Videos or reading blogs of full-time RVers and Vandwellers. If you’re practically obsessed with escaping the rat race and following your dreams and you find yourself excited and inspired by others who are doing it. You’re ready! Of course, being mentally ready, doesn’t mean you can sell everything tomorrow, buy an RV or van and hit the road next week. It takes planning. But if you can relate to most things in the list above, you may want to make an appointment with your realtor and start finding ways to become a digital nomad! For those who are full-timers, what was the one sure sign you knew this was the life for you? Yep, no.5 when the fires came thru CA, I looked around at 1400sg ft of stuff and thought what would I take besides important papers,water and a couple days food and of course Rocco my dog. The answer surprised me. Nothing! So here I am out on the road in AZ in my 23′ C Class with my dog and essentials. Tiki – WOW.. yeah, what a wake up call, huh? Mine was after my long backpacking trip and realized I’d survived 26 days with what I carried on my back… that was a huge shot of reality for m. Your life sounds idyllic.. keep on dancing your happy dance sister!!! 🙂 ty for the comment! One, five, and eight hit home for me. My journey started when I became an empty nester after my second/last child left for college. I literally became a hoarder and filled my 4 bedroom home with stuff to fill the emptiness in my heart. I was working myself to death to accumulate more and more stuff until I got a health scare at 49. That woke me up! Thank goodness that was only a scare and I was not deathly ill, but I come from a family that dies early of heart attacks. My 48 year old brother died of this, his 33 year old son did too, and my dear dad suffered their same faith early in their lives. At that time, I was also having trouble finding a companion to sleep with my mother as she was in her 80’s and was beginning to fear living all alone. I decided to quit my teaching job in the big city where I lived all alone and decided to move back to my hometown to take care of mom. I now know that it was the other way around and she was taking care of me :). I got rid of pretty much all of my stuff and put my house up for rent. I purchased a 5th wheel and parked it in my backyard. I now pay 1/4 of the utility bills to my renter for allowing me to stay there 2 weekends out of the month in order to visit my two beautiful grand daughters. God works in mysterious ways, and I got to enjoy my mother for a year and 3 months before she passed away peacefully in her sleep in March. I miss her dearly, but I know that she is in a happier place and I will see her again some day. Her Dementia escalated into full blown Alzheimer’s in less than 2 months. So now at 51, I find myself free to do with my life whatever it is I desire. I inherited my mom’s two houses and I rented those out. I decided to buy a small travel trailer to use that as my home base and I have it on an unrestricted lot that I bought dirt cheap about 20 years ago in my hometown. I am living a stress free life and hopefully in August that I finish paying my travel trailer, I can purchase a used Toyota Prius to take off for 6 months out of the year. Meanwhile, if you don’t mind Carolyn Rose, I will live my dreams in your adventures. You Go Girl! I envy (the good type of envy) how brave you are. I loved reading your story Bibi. So, you’re going to travel in a Prius? That part confused me. Why not travel in the trailer? Glad you’re finally free. Carolyn. Great list of descriptors ! I fit every one , and am SO glad I found your blog/ page. I’m very impressed how positive you are even with the headaches and hassles. Thank you for being such a huge inspiration for me ! Thanks for the tour of your RV, looks very comfortable! Barb – ty for watching. Yes it is.. I am happy in my tiny home on wheels.. 🙂 Happy holidays! All fit me completely. I have looked at Craigslist/blogs/utube/workamper for almost 1.5 years now. I have bought like 5 different vehicles trying to decide what to live in. Ouch, silly me. I hope I stop dancing around it and just do it vey soon! In the mean time keep your videos and blogs coming! 5 different vehicles? What did you buy? I can relate. I’ve been dreaming of an RV or travel trailer for about 20 years now because I can’t make up my mind what to buy so I get what you’re saying. But does that mean you didn’t like any of the vehicles you bought? I’m afraid to buy something and then regret it so I’ve recently started reading other people’s stories and blogs, videos, etc. I answered yes to all 8 of her signs above. I have 1.5 years left to go before I retire so this is an option for me to just hit the road. Can’t wait. Just doing my research now. My main reason was actually twofold…1. After the loss of my mother I decided it was just not worth staying in a permanent location any longer…2. I was determined to never see snow again unless it was high above me on mountain peaks!! And here I am, in the desert of sw Arizona, off the grid using the power of the sun to give me light, charge my cell and laptop, power my small 12v fridge, run my tv now and then! Any regrets?? NONE..NADA..ZILCH!! Peace and quiet abound! Solitude and contentment were waiting for me, and I have embraced them wholeheartedly! check, check and check! I’m ready but I think I’m the only one in the family. For now I cherish the long RV trips we do take and work our way towards making life purposeful, living in the moment and appreciating all that God has blessed us with. I know we’ll eventually get there after our girls graduate from school. Burl, I am so glad you’re enjoying being a part of my adventures! Merry Christmas to you!! You know me oh too well! Yes to every single one, and I thought I was abnormal for feeling trapped and spending time day dreaming of freedom, and googling things like “van conversions” and “living in cars.” Emotionally I’m ready. I’m trying to decide what type of vehicle to get (I don’t have one now), and would like to be able to get it this summer. I do not think I will be a digital nomad working from the road (although I hope to be creative on the road and if I sell anything from my creative pursuits – bonus!) and may have to wait an excruciating 5 years until I can retire early. I hope I make it 🙂 In the meantime, I watch youtube videos in the evening after work. My life was already fairly simple – I live in a 324 sq foot cottage, no vehicle, etc. But now that I’m closing in on a decision about the vehicle, I’m saving every penny to go towards that and gear. I find it interesting that I like the challenge of seeing how simple/small I can live. When I look at cargo vans, I think “what would I do with all that room?” One thing I’m struggling with is knowing how big to go, coupled with not knowing if I’ll be part-time or full-time. 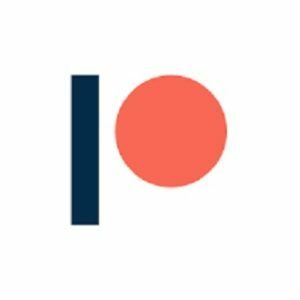 I anticipate full-time, but won’t really know until I try it. And can’t really try it until I have enough gear (and the time) to do so. Thank you for your posts and videos – I love them! Carolyn, what a wonderful article. Wife and I are not ready to make the leap yet, but the dream comes into a little bit sharper focus every day. It’s scary to make a major change, but as she always tells me, life ain’t nothing but a crap shoot, anyway. Thanks for your inspirational blog and videos. Yup yup. I’m there in my head most days. Day dreamed about cashing in on my retirement and hitting the road now, but.. I imagine I’d regret that, so instead; I decided to retire a few years earlier than planned…. still.. 1 year, eight months, 1 week, 2 days… it’s just over the horizon there. Well, I totally fit the bill But I already have my rig. A 1968 Casual camper (84 sq ft of living space) but everything in it. Talk about downsizing! My fear in taking the leap is financial. Long story but half of my monthly income (very little to begin with) is iffy at best. I am struggling to find another means (hopefully remote) to make money…..I just haven’t quite found that yet. I want to GO so badly! I almost feel angry for every day that I am missing! Angry at myself, angry at those who have control over my life (through finances and no fault of my own). I am so frustrated and not getting any younger! I stumbled upon this entirely unknown (to me) subculture of full time RV living and feel like I’ve found my tribe! I’m in! I answered an enthusiastic yes! to all the above. I’m on my way to AZ to buy a converted cargo van. You have inspired me so much. Your blog is the only one I have ever read and can’t wait for your next entries. I am traveling with 2 geriatric dogs and a puppy who gets car sick! And I couldn’t be happier. I’m on a month long break and will be resigning in the spring (if all goes according to plan) to enter the next exciting phase of my life of RV full time van dwelling in the out back. I, too, am a single female, 50’s, and can’t believe I put up with the complex and stressed out life considered “normal” in our California culture (and I live in mello Mendocino County!!!!!). I am so grateful for you for sharing your life and being a courageous role model. Thanks for the post enjoy reading it.Happy holidays and safe travels where ever the road takes you. 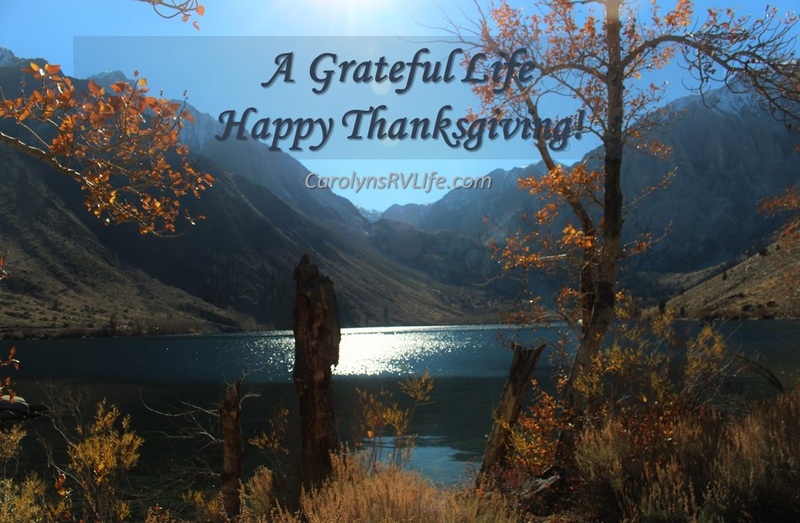 Thank you Vicki – happy holidays to you as well!! Well, I can relate to all of it- #’s 1-8! And your original story about what happened in your life-the ups and downs and where fors and whys. Unfortunately, I am still struggling to get out there. Finances are the major issue…in spite of having my truck and tiny trailer. I rarely ever comment on these “blogs” but felt you could relate to my situation as I related to yours…..All I can do is keep trying. I am anxious to leave the world of being PC and the over-sensitivities of so many and the consumerism….just longing to be free and at peace with my 3 dogs. Thanks Carolyn…..its a struggle every day to have to keep waiting! You and Capone have a lovely holiday! Stay warm and safe! Idgy , Ham and Mattie send their regards, too! I had just been looking at RVs on Craigslist before I read your blog. Every sign except #4 fits me. I’m destined to be at least a part-time nomad for sure! Really enjoying your videos and blogs, thank you for sharing your experience. I think the main concern for getting into this lifestyle is, (at least for me) finding the vehicle that will meet the needs of everyday life comfortably while living full time out there. I know one other person mentioned that she had gone through 5 different modes of vehicles and still wasn’t comfortable with them. Comfort that I can afford and lack of hassle are big stumbling blocks for me. Until I make those line up with something I can live with without suffering I am probably going to be on the fence. But still…..all 8 items apply to me. 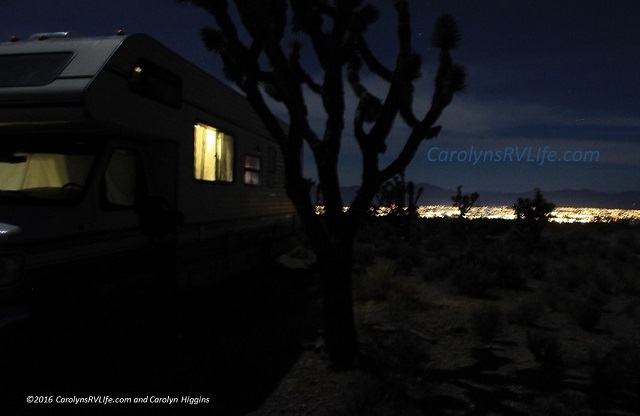 Getting out there and wishing you had bought something else is one of my biggest fears of buying an RV, or travel trailer or whatever I decided to get. I laughed when I read that. I’ve finally decided on an RV similar to yours although smaller but STILL find myself occasionally changing my mind. I love your free spirit and guts to “Make it Happen” As I get closer and closer to retirement, the thought of just getting out on the road are appealing to me more and more and I find myself staying up late every night just reading your blog and everyone’s comments and looking at RV’s. OMG! I’m beginning to get obsessed. I’m also afraid of how often I hear about RV’s breaking down. Have you thought of getting something newer? Do they all just break down all the time? That I know I won’t like. I look around at my house though and all my stuff. I think I would be a part time RV’er. How can I part with “all” of it? hmmm. I do need to get rid of a lot of stuff. I’m in the beginning stages of it all. How does a miniature hoarder become a minimalist? So hard. I hate throwing anything out. But I do dream of traveling the world, and an RV is one medium I know I want to try. So glad I stumbled upon your website while searching for RV’s on Craigslist!! I love your dog too! 2 years ago, after considering all the options, I purchased a 21ft travel trailer (dual axle) with a slide out, and a Dodge diesel pickup, with a shell…this has been the PERFECT combination. Easy to pull, park and still very good on fuel economy..I know several people with motorhomes..Way too much space, and terrible on gas. Anyway, to each his (her) own..maybe someday, I will upgrade to a little bigger than 21ft. However I have found the more space you have, the more useless junk you gather.. I relate to all your items… traveled more than 4000 miles this year in my SUV doing camping/road trips, hate coming home each time… and still planning for full-time life in a Sprinter, but number 8 takes up many of my evenings. I don’t watch many movies anymore… instead watching YouTube videos from people like Bob Wells and so many who’ve hit the road and never looked back. I read Amazon reviews on everything for an RV, from Dometic refrigerators to Solar systems. Yep, I’m obsessed and will be at the RTR to find out everything I can. Hey Carolyn! I really didn’t need to read this to know that I’m ready but it was fun to check the boxes. It can’t happen too soon but I’m trying to be patient so that all my financial ducks are in a row. August at the latest! Just wanted to say hi! Thank you for all of your videos, advise & sharing. Me? all of those. I’ve spent the last year pondering, setting my intent and making progress minimizing. This year I will be finding the right rig. We are demographically common so thank you for the ‘you are not alone’ video. I look forward to seeing and hearing more from you. Hello…yes I fit those “reasons”, actually when I retired from the military my goal was to see the US in my motorhome for a year and a half, with the best friend I have ever had Abby my baby girl….RIP….Anyway, I now have a truck and rpod and have such an itch to sell everything and go….your inspiring me.. Safe travels and maybe I will see you down the road, as I am hearing about RTR and hoping to hook up on one of those if they happen more than once a year! All apply. But I have another 8 years at least before I can leave. Have kids and am responsible for elderly in-law. However, I have stopped buying stuff (I just ask myself, will this fit in my RV.?) If not, I don’t get it. My 2017 resolution is to start getting rid of stuff. My husband has ZERO interest in traveling, so I have 8 years to try to convince him. If not, I think I’ll just go alone. I’ll just go home occasionally to check in and say hi. It’s like you are looking in my head! I match every single one. We recently bought a rig just like yours, same year and everything, although ours is just a 24 footer. We hope to be on the road come March. Maybe we will bump into you at some point! oh goodness, I’ve got it bad … but it’s all good! It is going to be a while but I’ve pretty much decided on a vehicle, am working on downsizing drastically and getting my finances in order. You definitely seem to “keep it real” on your YouTube channel, and it’s appreciated. Safe and happy travels to you and Capone! Love number 4! The second I got married and moved into a townhouse I knew something was off. I love living in my RV, even with a 2 year old! It has been the best decision of my life! Hi Carolyn…you hit the nail on the head on your list of 8. I am doing all of them. Frustrated that I’m not sure my social security will be enough to live on anywhere. I’m ready to hit the road mentally but still looking for that affordable class c rv. Your an inspiration. TY for your videos you make me laugh and scared me with fake fall down the ladder had me going. Hi Carolyn! I just finished watching some of your videos, then went to your page and answered yes to all the questions! That’s how I found you…hahaha Thank you for giving me the motivation to follow my dream! I will be reading your newsletters and articles, an also continue watching all your videos . Thank you and I wish you the best! Iris, thank you for the kind note. I’m thrilled to know my efforts here are paying off and you’re thinking about your own free life! good luck and ty! I’ll be turning 30 this year. I have a bachelors degree and have worked the jobs and did exactly what I was supposed to do. Always felt trapped or that something was missing. Every single one of these points you made Carolyn really hit home for me. You are describing me and my life. Only thing stopping me is finding that RV and a way to make an income over the road. You are truly inspirational and I will continue to work towards that dream! All 8 is me. 🙂 I never knew this lifestyle was even possible until about four years ago and once I found out, people actually do this, all I could think was, why haven’t I been doing this all my life. I had no idea, now I sit and dream of joining the nomads. Jackie, that’s exactly what happened to me! I hope you get to join us someday soon! Good luck! I’m yes on all 8 – since I was 13 years old! That’s over 40 years. And after living a life that didn’t satisfy my soul for the last 30 years I’m now going to focus a living the life I wanted when I was a child. It was a pure dream and it deserves to be lived and brought out into the sunlight after all these years. Thank you so much Carolyn for reminding me of who I am! My wife and I sold our RV to live in a home. Decided that wasn’t for us, bought another RV, then sold it and rented a home here in Florida. WE HATE IT!! We’ll be going back to RVing and traveling full-time soon. Our question is this… how do you handle medical problems or getting prescriptions filled. We have Humana, Medicare and the VA, so I would think we’d be covered. But, we’re not sure… what type of coverage do you recommend. We’re both retired and live on Social Security. Carolyn every one hit home for me. I have had my life in storage for 3 years..can’t afford the rent. Last weekend I had a cleaning out the storage sale and sold almost all my furniture. I’m still looking for an affordable motor home that I can live in on my social security and any part time job and travel. Thank you Carolyn you are such an inspiration to me and my fiancé. We stumbled onto your YouTube channel and have been binge watching all weekend. We have set our “independence” day!!! Yep, yep, that’s me, yep, yep, yep, yep, and YES!!! Look at me, 45,getting a divorce, only child off to college and the death of my backpacking, houseboat dwelling dad. Yeah August of this year was a doozy!!! Fast forward to May of this year when I started working at a local state park campground that has a lake revived my passion for LIVING!!! I finalize the loan for my travel travel trailer this week!!! I will be staying put tho, near the lake which I’m thrilled about!!! Thank you for your encouragement and helping me to find clarity!!! OMG….. You hit the nail on the head, what a bullseye. Each and every point describes me exactly. I was shocked as I read you blog. Honestly I’d rather spend time watching your videos than Anything. I’m soon to be 66 a widow, kids grown & free to be and do whatever I want. I’m excited about life again. Thanks. Carolyn, Your story was a revelation to me. I am a single 63 year-old woman who has done nothing but take care of other people since I was 8 years old. Like you, I followed the script; however in May my 90 year-old mother passed away. I had been her caregiver for the past 12 years. I recently returned from a trip to Crater Lake where I spread her ashes. I have finally realized… I AM FREE. My children are grown and gone, I’ve retired from teaching and it is finally MY TIME. My Bucket List includes going to every one of the contiguous states. Now is my chance… I’ve called a realtor and I am ready to finally start living MY LIFE. Thank you for your words of advice and inspiration. I’m going to see about classes/seminars on RVing full-time, but this is what I have always dreamt of doing. It’s time to start living MY life! Hey, Carolyn, found your YouTube site during a bout of wanderlust. Rather than buy a tiny home on wheels, you’ve got me thinking about moving, yes moving, to Vietnam. I’m spending a month there in January and will really check it out. How’s that for radical? I’ve been watching you . . . So to speak. Today I find your email and say thanks for all of us that suffer on holidays for whatever reason. It is true that the empathy of another human is healing. Thanks for having the courage to expose your innerds and share with us. I think we are about ready: the kid moved out and is doing fine with his family; my husband is retiring in June from the Army (that will cover income + insurance); after having to move every few years we know we do not like to stay anywhere to long; after living in warm climates (Okinawa, Japan and Central Texas) we can not imagine to go back to wintry climates (home to Colorado), but the Texas summer is a little brutal at times; plus my husband is finally ready to live again/look forward to the future again after 3 rough years (PTSD, a neck fusion, a shoulder replacement surgery plus a suicide in the family)….As a start we are traveling to Colorado in March to start to sell our house. After that we will start looking for an older 5th wheel, that can be redone with some paint, new flooring etc since we just do not like the interiors of any of the new and older units. I will be doing most of the work, but I think that is all part of getting ready for our new life. Plus then there will be the sorting of our 27 years of accumulated stuff. I am thinking the entire process should take us at most about a year. By that time my husbands shoulder should be fully healed too (his surgery was 2 weeks ago)…. I am very excited about traveling again, not having to be anywhere at anytime we do not choose to… We both love being outdoors. We are thinking about volunteering some time at state/national parks (my husband has a history degree and is very much into it) and I am not happy unless I get to walk/hike daily (my ~2 hours a day that are truly mine to think and to relax…). We have seen a big chunk of the world from Asia, the Middle East and Europe (we have always traveled to the surrounding countries – backpack, public transportation, youth hostels etc – where ever we were stationed and now it will be time to see some more of the USA. Yes, we could get another set of jobs and work on getting a second retirement, but we feel that we rather have a little less (stuff does not make one happy, but memories do!!!) and enjoy life at our pace…. Solo female,60,retired early, sold my house. Hit the road full-time for three unforgettable, great years travelling in 13′ Scamp trailer! Best life ever! Met incredible felllow travelers! Experienced beauty & adventure! Must park in 82 yr old Mom’s driveway to provide extra care for awhile. Can’t wait to hear her stories! Life is a gift! I feel semi stuck because of a serious lack of funds! After semi primitive living for 8 years and 2 years living in a tent in the forestry, the last 4 years in a house in an area that I just don’t feel welcomed has got me wanting to go! I want nearly prepared for the 2 years (thru 3 Winters) and learned by trial and a lot of error! I’m thankful for these blessings…. But I just don’t”fit” in here! And sadly…I feel more lonely now than I did in the forestry in the mountains of East Tennessee! I’ve been feeling the call to hit the road! Need prayers! Thank you for sharing your story! And for sharing your adventure thru your vids! I hope to one day meet up with you out there! You strike me as the kind of person I could hang with in passing! I guess I like my space too! But it’s nice to have people”around” who get you! Cool! All 8 points are spot on! Camper van coming next week. Have to get rid of stuff. Oh my gosh Carolyn, I 100% resonate with all 8 of your points. I am 55 and after recently being healed of breast cancer I feel like I can’t “just exist” anymore. I want to LIVE! One major problem, my husband rather likes the house, job and suburban life. Another huge factor to this awakening for me is we recently moved from TX , where I lived my whole life, to PA where he grew up. I thought it would be a nice change and fulfill the adventure I crave. I HATE IT! Today I found you. I am so torn. I feel like I can’t breathe either way. 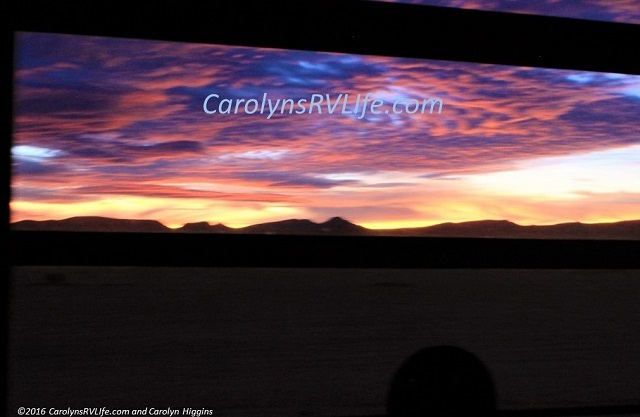 I have dreamed of life in an rv\van since I was a little girl. I was going to go into a long story about how I arrived at the “dawning” of the realization of wanting to live life free as a nomad, one thing always comes up as a constant, ever since I was a little girl of four or five years old listening to my Uncle John’s stories of his travels driving semi. I always resent “coming back home”.